In Europe it is not just in Hungary where human rights defenders are under pressure [https://humanrightsdefenders.blog/2018/07/26/some-facts-about-refugee-flows-which-hungary-seems-not-to-know/]. On 21 November 2018 a group of UN experts – including Michel Forst, the UN Rapporteur on Human Rights Defenders – expressed concern that amidst Italy’s proposed tightening of immigration rules HRDs are the subject of smear campaigns. Since coming into power in June 2018, the new Italian Government has implemented the anti-migrant and exclusionary measures it campaigned upon. “Removing protection measures from potentially thousands of migrants and limiting their ability to regularise their stay in Italy will increase their vulnerability to attacks and exploitation. They will be at greater risk from traffickers and other criminal groups, and many will have no means to meet their basic needs through lawful means”. While acknowledging the challenges Italy faces due to the absence of an effective European-wide system of solidarity, the UN experts said this did not justify violations of human rights. “The government must adhere to the values enshrined in the Italian constitution, and the international commitments it signed up to,” they said in an appeal to the government to reconsider the legislative changes. “During the most recent electoral campaign, some politicians fuelled a public discourse unashamedly embracing racist and xenophobic anti-immigrant and anti-foreigner rhetoric. Such speech incites hatred and discrimination,” the experts said. ……“We are also concerned about the continuing smear campaigns against civil society organisations engaged in search and rescue operations in the Mediterranean Sea, as well as the criminalisation of the work of migrant rights defenders, which have become more widespread in Italy,”. The experts have contacted the government about their concerns and await a reply. The ISHR in a piece of 16 February 2018 draws attention to tow complementary reports on the situation of human rights defenders in a migration context. They fit admirably with the outcry of 250 NGOs concerning Hungary referred to in my earlier post of today [https://humanrightsdefenders.blog/2018/02/20/250-ngos-address-letter-to-hungarian-parliament-regarding-restriction-on-the-work-of-human-rights-defenders/]. The first is the report, by UN Special Rapporteur Michel Forst, which examines the many ways in which human rights defenders are impacted by the current environment related to migrant and refugee flows. 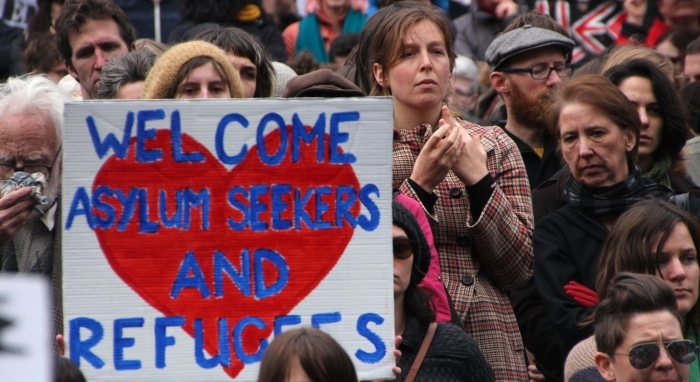 For example, defenders may become migrants or refugees as a result of the harassment and violence they face in their own communities or countries. ‘Empowering defenders on the move is crucial to the prevention of further tragedy‘. The second is the OHCHR Principles and Practical Guidance for the protection of the Human Rights of Migrants in Vulnerable Situations, especially Principle 18 which states that ‘States must respect and support the activities of human rights defenders who promote and protect the human rights of migrants’. Both document will be considered at the upcoming session of the UN Human Rights Council. Migrants – including migrant workers – who seek to stand up for their rights and those of others face unique threats, including deportation. The case of Sujana Rana and Rose Limu Jee, two migrant domestic workers from Nepal who were detained and deported after advocating for freedom of association in Lebanon, is a prime example. And defenders in countries of destination – whether the Gulf, the United States, or many Member States of the European Union (e.g. Hungary) – find that their own governments may rollback protections or even funding for civil society and defenders when migration-related issues are the focus, or in the worst cases criminalise assistance to migrants and refugees. Limits on access to migrant and refugee populations. This can appear as overt limits on physical presence in border areas or due to the remote nature of some areas where populations on the move are concentrated. This includes securitised border zones and offshore facilities. In both cases, the real impact is to increase physical and financial barriers to access, preventing people on the move from accessing independent services and much-needed legal counsel. Criminalisation. Some defenders struggle against risks of criminal prosecution both nationally and as a result of local bylaws, particularly registration requirements (based on geographic areas of work, for example). The overzealous application of existing law has also been sued to accuse people of harbouring or smuggling, when in reality the individual was engaged in humanitarian activity. This threat of criminal charges has a chilling effect, as does the decrease in funding for organisations working in this area (both anti-racism work and traditional legal aid centres). The growing role of non-state actors. Especially in some parts of Latin America, organised crime poses significant threats to defenders, as well as to States should they try to protect them. Businesses are also implicated, as the report notes particular types of private employment contracts which ‘gag’ service providers and impose outsized fines or criminal penalties for discussing the situation. Finally, in cases where governments have outsourced certain services, tools like access to information requests (normally directed at public authorities) are no longer available. The mandate of the Special Rapporteur on Human Right Defenders – Michael Forst – was extended for a period of three years. The draft of this resolution was submitted by Norway and adopted without a vote. Hostile amendments to the resolution were submitted by the Russian Federation and China. All of these amendments were rejected. Amendment L.43 sought to have the term Human Rights Defenders removed from the text. Such a motion undermines the importance of the work of Human Right Defenders and seeks to remove a well established term that has been mainstreamed within UN resolutions. Amendment L.44 proposed the removal of the term Women Human Rights Defenders. In response several delegations emphasized the double violence that Women Human Right Defenders face due to their gender and their work and thus the importance of this term. They also recalled that part of the Special Rapporteur’s mandates is to focus on the violence specifically directed to Women Human Right Defenders and as such the term is key to the completion of the mandate. The press statement by the UN (see below) explains that there was quite a bit of wrangling on wording, but in the end the draft resolution (A/HRC/34/L.5) on the mandate of the Special Rapporteur on the situation of human rights defenders, Michael Forst, was adopted without a vote as orally revised, in the same terms as provided for by the Human Rights Council in its resolution 16/5. It urges again all States to cooperate with and assist the Special Rapporteur in the performance of his tasks, to provide all information and to respond to the communications transmitted to them by the Special Rapporteur without undue delay; and calls upon States to give serious consideration to responding favourably to the requests of the Special Rapporteur to visit their countries. The 34th Session of the UN Human Rights Council started off last week (as usual) with the so-called “high-level segment” during which important officials addressed the Council [see: https://humanrightsdefenders.blog/2017/02/28/new-secretary-general-at-human-rights-council-tells-human-rights-defenders-and-i-am-on-your-side/]. On 6 March the ISHR reported on that first week during which several dignitaries emphasised the key role that a vibrant civil society plays in promoting and protecting human rights. The President of the General Assembly, Peter Thomson, highlighted the importance of civil society by calling States, the UN and civil society to work shoulder to shoulder and advance with common purpose. Other high-level speakers expressed concern regarding increasing restrictions to civil society space, particularly against HRDs and journalists. Delegates from Botswana, the Czech Republic, Costa Rica, the European Union, France, Malta, Liechtenstein and Luxembourg, among others, reiterated their support to the work of HRDs and journalists and stressed the importance of guaranteeing their protection. Delegates from Germany, Norway, Poland, Slovenia, Sweden and the United Kingdom, among others, condemned acts of reprisals against HRDs and emphasised that HRDs must be able to participate and engage with the Council without fear of intimidation or reprisals. So, there is no shortage of good statements in Geneva, but the what matters most is the upcoming renewal of the mandate of the Special Rapporteur on Human Rights Defenders and any real action on reprisals! Severe time restraints made that several NGOs could not make their oral statement on 4 March 2016 during the Interactive Dialogue with the United Nations Special Rapporteur on the Situation of Human Rights Defenders in the UN Human Rights Council [see: https://thoolen.wordpress.com/2016/02/25/preview-of-the-upcoming-session-of-the-un-human-rights-council/]. 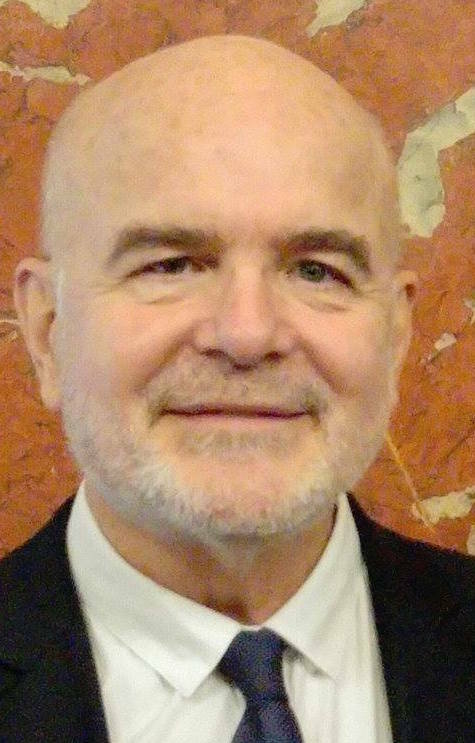 “Human rights defenders in Hungary are increasingly working in a rather https://thoolen.wordpress.com/2015/12/23/attila-mraz-human-rights-defenders-in-hungary-have-their-work-cut-out/ and politicized environment,” said Michel Forst, the UN special rapporteur on the situation of human rights defenders, at the end of his first visit to the country, according to the press release of the UN. Forst also criticized attempts to de-legitimize defenders and undermine their peaceful and legitimate activities through criminal defamation and excessive administrative and financial pressure, the press release added. “In the context of the refugee crisis and the excessively manipulated fear of the ‘other’ in society, defenders face public criticism by government officials, stigmatization in the media, unwarranted inspections and reduction of state funding,” the special rapporteur noted. “The drastic constitutional changes in Hungary have resulted in the weakened constitutional court and the centralization and tightening of government control over the judiciary, the media, religious organizations and other spheres of public life, directly or indirectly affecting human rights,” the press release cited him as saying in connection with Hungary. During his nine-day visit, at the invitation of the Hungarian government, the expert met with state officials, members of the judiciary, the parliament, ombudsman as well as human rights defenders, representatives of civil society and the diplomatic community. Forst heard specific testimonies that defenders who criticize the Government or raise human rights concerns are quickly intimidated and portrayed as ‘political’ or ‘foreign agents’, according to the press release. A group of five United Nations human rights experts have joined the debate in France on security. Yesterday, 19 January it warned that the current state of emergency in France and the country’s law on surveillance of electronic communications impose excessive and disproportionate restrictions on fundamental freedoms. “As France debates the strengthening of measures in the fight against terrorism, and considers a reform of the criminal procedure, we call on the authorities to revise the provisions and possible reforms adopted to that end, to ensure they comply with international human rights law,” the UN experts said in a press statement. In a list of concerns to the French Government, the independent experts stressed a lack of clarity and precision on provisions regarding several state of emergency and surveillance laws that relate to the legitimate rights of privacy and freedoms – of expression, peaceful assembly and association. To guarantee the rule of law and prevent arbitrary procedures, the experts recommended the adoption of prior judicial controls over anti-terrorism measures. Since the recent terrorist attacks in France, the state of emergency law in force, which temporarily expands the executive powers in the fight against terrorism, only allows judicial review a posteriori. The UN experts also noted that the November 2015 law on surveillance of international electronic communications expands the executive power over the collection, analysis and storage of communications content or metadata – without requiring prior authorization or judicial review. The UN experts also expressed alarm that environmental activists in France have been under house arrest in connection with the state of emergency invoked following the November attacks. “These measures do not seem to adjust to the fundamental principles of necessity and proportionality,” they said, highlighting the risks faced by fundamental freedoms in the fight against terrorism. The independent experts – David Kaye, Special Rapporteur on freedom of opinion and expression; Maina Kiai, Special Rapporteur on the rights to freedom of peaceful assembly and of association; Michel Forst, Special Rapporteur on the situation of human rights defenders; Ben Emmerson, Special Rapporteur on the protection and promotion of human rights and fundamental freedoms while countering terrorism; and Joseph Cannataci, Special Rapporteur on the right to privacy – expressed their solidarity and deepest sympathy to the victims of the terrorist attacks committed in France and many other places in the world.